Several more beds were planted earlier this week, so I took a few photos on Wednesday evening. It’s all coming along nicely. Great work gardeners! I can name 89 youth and adults and another 17 children who have shown up to participate in the community garden project since we began back in October 2011. 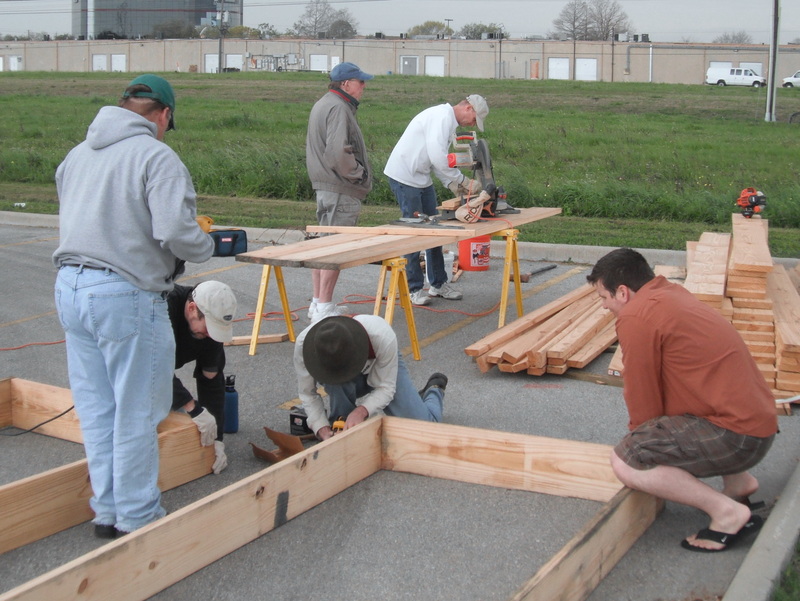 We had workdays where 5 year-olds and 70+ year-olds were working side-by-side building raised beds. We hosted a gardening class which attracted outside participants to our church on a weekday night. We invited a group of young men to work with us to help fulfill their community service obligations. And in this way we took an ignored patch of land and we built a garden. WOW! This past weekend was something of a capstone for the garden build. 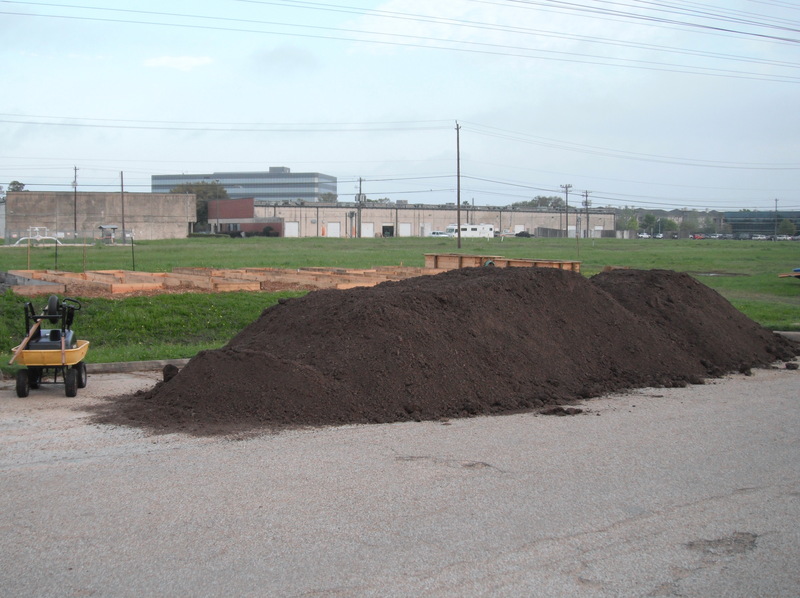 Last Thursday, over 40 cubic yards of soil was delivered from The Ground Up for use in the vegetable beds. Over the next three days, all of the soil was moved into the garden. Is it a garden now? Three varieties of muscadine grapes and two types of blackberries have been planted. Does this mean we’re technically a garden now? T – 15 months until blackberry cobbler. The deep beds were also finished this week. They need to be topped off with leaves and compacted before adding soil. A few Sundays ago, a group of eleven BAUUC youth and advisors went to the Harbor Tree apartment complex near the church. 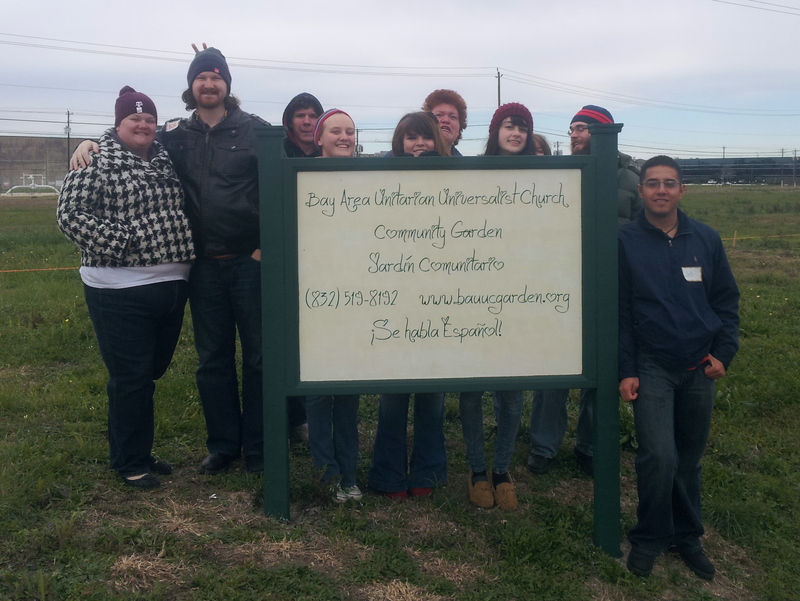 The group went to inform the residents about our project and how they could participate in the garden. Thank you to our canvassers: Kris Berthold, Christina Croson, Patrick Gibbs, Jenny Jenks, Anna Klinger, Job Rameriz, Megan Riordan, Kellynn Sembera, Keegan Taylor, Nathaniel Throop and Amanda Wehrman.